Month of May for us in Kuwait means exam time and you know what exam can do to parents, right? Super duper stress time and normally my BP will shoot up sky high hehehe. My eldest is taking the Cambridge International AS Level exam this year and to tell you the truth, before I came to Kuwait, I have never heard of such an exam… A level tu tahu lah since I took one long time ago. AS Level (Advance Subsidiary Level) is actually the first half of an A Level qualification. After completing the AS Level, you can proceed to take the second part of A Level which sometimes being called A2. I didn’t know that you have an option of doing your A Level in 2 parts… should I knew them when I was studying back then, I sure opt for this splitting exam option…as if it will change anything hehehe. Anyway, the normal option for the A Level is a 2 year course, where the exam will take place at the end of second year. Okay… back to the normal story…RECIPES! 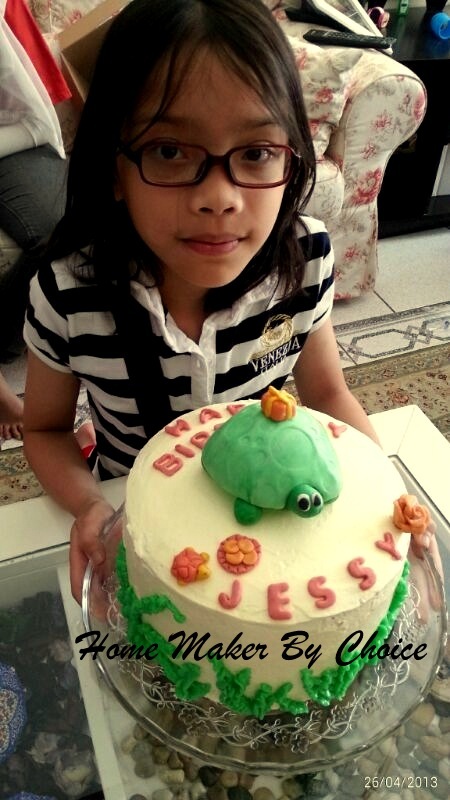 This Ombre cake yang tak berapa cantik ni was baked for Jessy’s birthday last April huhuhu… dah soo terlambat but never mind, better late than never. I’m so glad that she loved it. 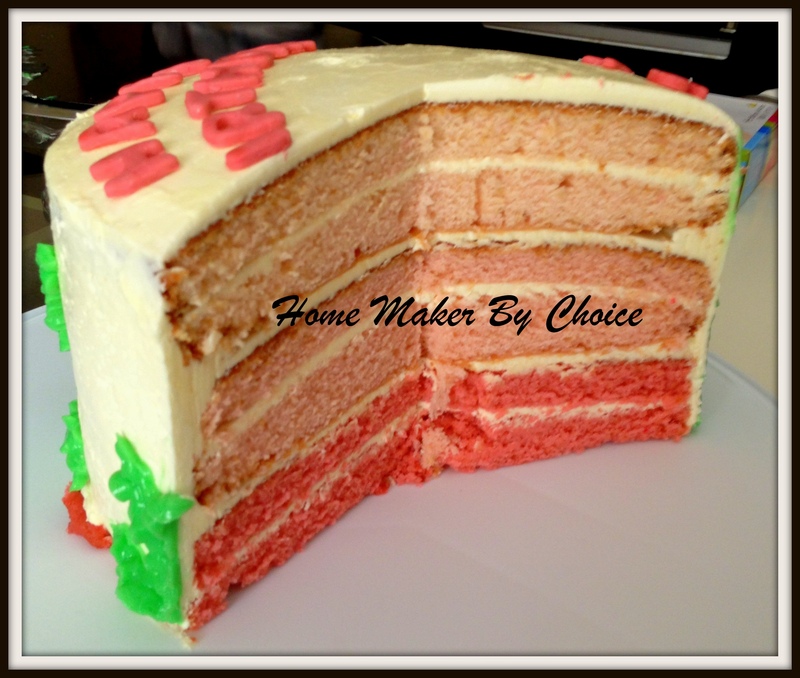 The Ombre cake idea was taken from Rahelblog and I bet if you look at her cake, you too would want to bake the cake. As for the cake recipe, I used the rainbow cake from Matha Stewart. 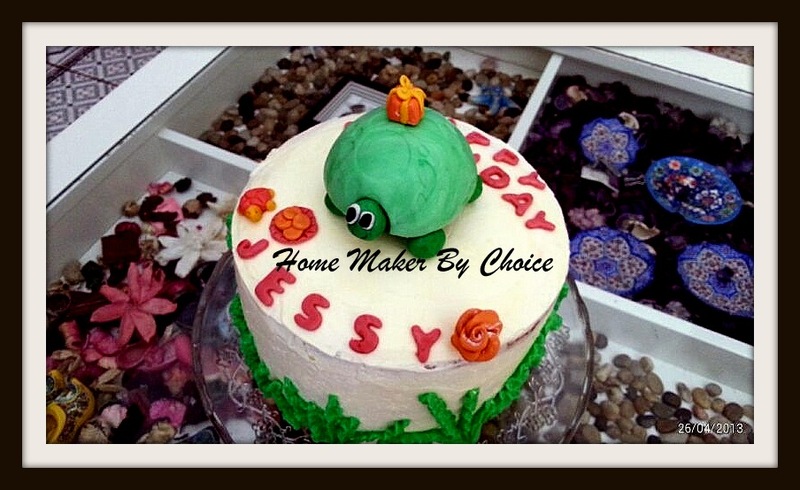 For this cake, I used Swiss Buttercream Frosting…Happy Baking guys!